Click here- for the latest March 2019 newsletter. This also contains our Alternatives to stage 1 & 2, of the Valley Garden's proposal. For more details on how to be involved click here. May we welcome new members and supporters reading our news for the first time. 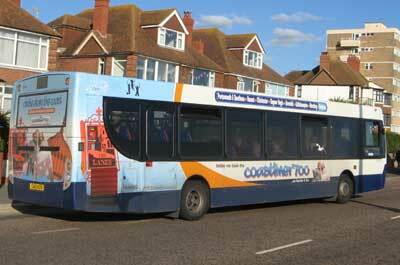 We are independent from bus companies and local authorities. Our policy is to influence decisions by building relationships and working with others. We have meetings four times a year with bus companies and Council representatives where members concerns are discussed. They also have an opportunity to explain future proposals. 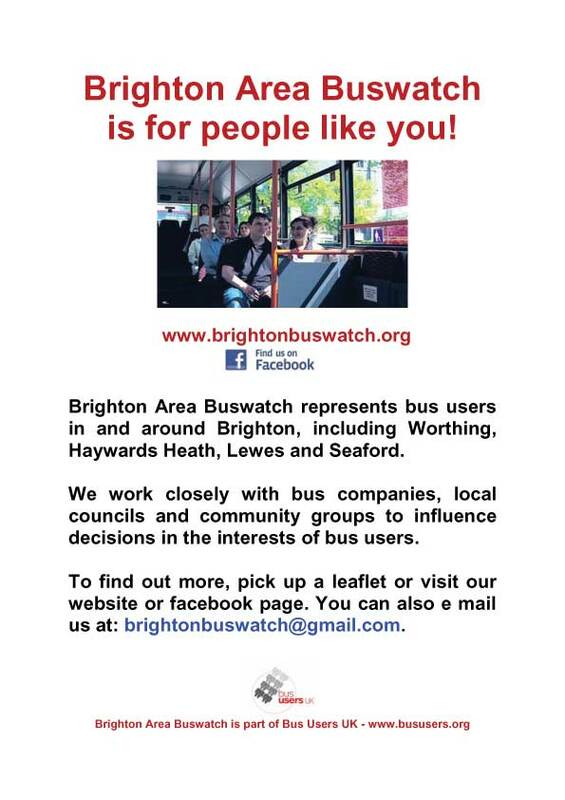 Brighton Area Buswatch deals mostly with strategic issues affecting lots of people. We campaign for improvements to bus services and fares on behalf of bus users. Our policy is to build relationships with local Councils, local interest groups and bus companies to find out about their plans so we can make suggestions and try to influence them. Criticising authorities after they've implemented changes is usually too late to make a difference, so we try to avoid this situation occurring. However we will sometimes suggest lessons to be learnt, especially if we think it could help to avoid mistakes being repeated. We are lucky to have excellent bus services in much of our area which are well-used and very few require public subsidies. Recently around 50 million passenger journeys were made by bus in Brighton & Hove which compares with under 20 million journeys in Southampton or Portsmouth which are similar in size. This is a tremendous achievement but we recognise that people's expectations are always rising and there are always improvements that can be made. 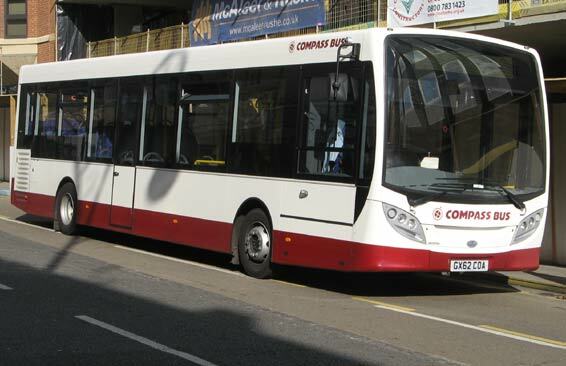 If you have a particular problem regarding a bus service or an incident on a recent journey we advise you in the first instance, to contact the bus company concerned. In our experience most local bus companies are keen to receive feedback and will do their best to help if they can. Our partners at Bus Users UK can deal with appeals if a customer is not satisfied with the response from a bus company or local authority. We suggested a one-hour single ticket, which has been introduced, so enabling passengers to change buses without needing to pay again. 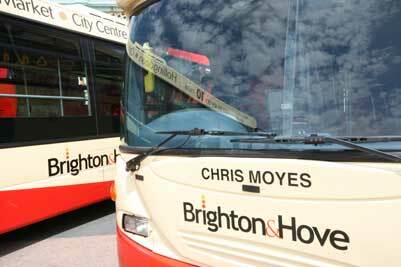 We successfully campaigned for Saver tickets, Key Card and m-tickets to be valid on all Council supported bus services in Brighton & Hove. We rejoined the Council's Quality Bus partnership, enabling us to influence planning decisions affecting all local bus companies. 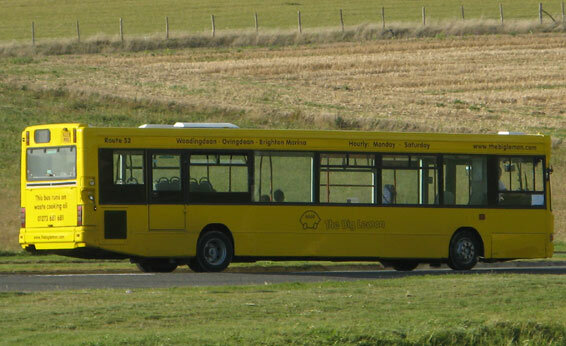 We suggested improvements to late night services to Goldstine Valley and to lewes; and have been pressing for improvements to route 37 to Meadowview and the Bristol Estate; plus later Sunday evening jouneys to Worthing. We have expressed concerns about the revised Valley Gardens scheme. This would reduced the number of lanes for general traffic, so risks causing buses severe delays and unreliability problems, particularly when traffic is busier (especially at weekends and on nice summer days). Our Public Transport Information page- includes links to real-time bus information for Metrobus and Worthing area services (as well as real-time information in the Brighton area- both the city council and the Brighton and Hove Bus Company). 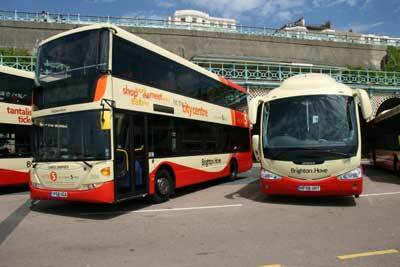 top left: Brighton & Hove bus etc.